I love reading. And I love books. Not a screen. Books. With pages. And a cover. A book that I can read in the pool and not worry about it getting wet. A book that I can leave on the beach while I pop into the ocean and not worry about it getting stolen. A book that is made out of paper so that when I read it in the sun, it doesn't heat up to about a million degrees...unlike an alternative, metallic form of reading. A book that doesn run out of batteries at the best part in the middle of a long flight. A book that I don't have to worry will break when it slips out of my hand and drops to the floor when I doze off in bed. I'll read anything, from short stories to memoirs to fluffy romantic beach reads to heavy-hitting award winners and everything in between. One of my favorite things about having 8 weeks off every summer is that I get to read the giant stack of books I've been hoarding for the other 44 weeks. Its been 9 days since my summer vaycay began and I can officially cross three books of my to-do list. I read this utterly delicious book in one day. I started it while at the gate waiting to board my plane, read the entire plane ride, and finished it around midnight the day I arrived. The Hundred Foot Journey is a fictional memoir about the life of an Indian-born man who becomes the most beloved chef in Paris. I am not sure what amazed me most about this book: the breathtaking and mouthwatering pictures of India, France, and food that the author so clearly painted in my mind or the fact the he is neither Indian or a chef. Richard C. Morias, a fellow foodie, managed to capture that magical feeling all of us foodies have towards food... that the look and taste of good food always trumps the number of calories, carbs and grams of fat it may contain. But you don't have to be a foodie to enjoy this book; its also a beautiful story of love, family, friendship, and the determination of a young man to achieve all of his dreams. 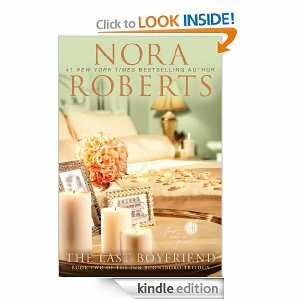 This frilly little romance novel is the second book in the Inn BoonsBoro series. I read the first one last Christmas and was really looking forward to this one. I was not disappointed; it is just as sweet and light and romantically sigh-worthy as the first one. It is predictable and the characters are unrealistically perfect and yet it was the exact book I needed to read so that my brain could go on vacation for a little while. I loved escaping into the small town of BoonsBoro and really, really want to be BFF's with the three female protagonists. My only complaint about this book is that because I read the first one, The Next Always, so long ago, I sort of forgot what had happened so I was a bit confused for the first little while in the book. Bottom line: its fun, and its easy, and its a great escape from reality. Fifty Shades Freed: Book 3 in the infamous Fifty Shades Series by E. L. James. I read the first two books in this series months ago while lounging by the pool in Vegas. At that point I thought they were wonderful! Fabulous! Brilliant. And given my setting, they were. Unfortunately, when I returned to T. dot and attempted to read this one, in my marital bed, using the bookmark my daughter made me for Mother's Day, I just couldn't do it. The totally WRONG setting. I decided to put it aside for a while. When I picked it up again to read in the sweltering heat of West Palm Beach, it started to feel right again. But it wasn't as awesome as the first two. It had nothing to do with the fact that it wasn't as good, it's just that I'm pretty sure I'm over it. And if you've read the books, or heard about the books, then you know what "it" is. For the second half of Fifty Shades Freed, I found myself skipping over certain chunks so I could read only the parts that I wanted to read. I'll let you decide which chunks you think I skipped. And for all of you haters or snooty literary types who think this book is crap, hear this: E. L. James may not be Shakespeare or Dickens or Rowlings, but she did get millions of women reading. Voraciously. Women who had not read since Oprah discontinued her book club. Women whose children are now watching them read more enthusiastically than ever. And in turn, those kids are reading, too (just not those books, I hope). So bravo! to you, E. L. James! For getting women reading again...and for saving a few marriages along the way. Next on my list? Well, you'll have to check back and see what I've been up to. What are you reading this summer? Should I add it to my list?